While you are enjoying traditional family vacations visiting the most popular sights and strolling through well known towns, do you ever think about experiencing those places and spending your time in a different and more meaningful way? High school students around the world have opportunities to travel abroad for the purpose of service rather than leisure. Service trips abroad are opportunities to experience the destination in a more “local” way while also helping the community by working in some way to cause a change. Many companies that provide these service trips are Wilderness Adventures, Moondance, GoAbroad, GoBeyond, Rustic Pathways, and many more. There are also service travel opportunities offered by many schools, including your own! St. Andrew’s offers many travel abroad opportunities, which are directed by Director of Global Studies Przemek Tokarski. Tokarski plans these student trips in a unique way. SA students learn a foreign language while the students located at the exchange school are also learning English and receiving service. Tokarski explains the difference between service locally and abroad by the difference in the communities. Tokarski states that serving abroad would open your eyes to see the extreme contrast between our needs and others’ needs. 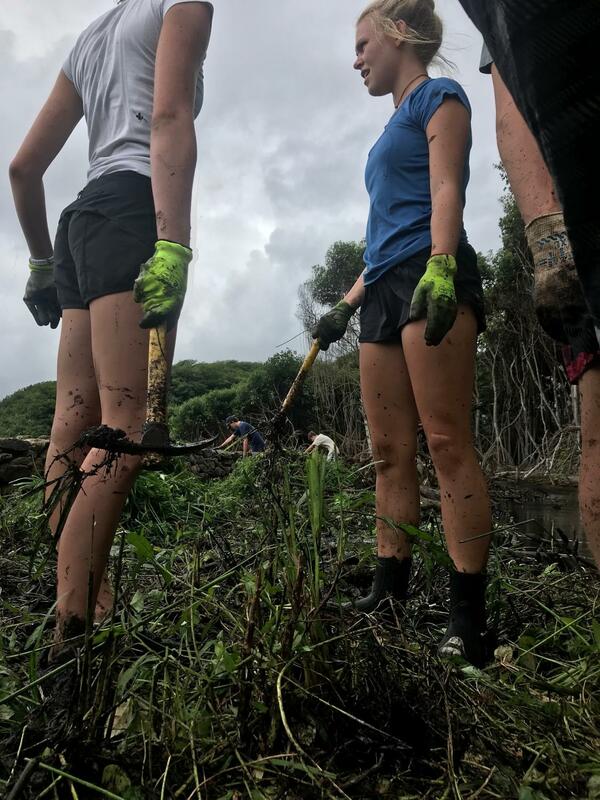 St. Joe Sophomore Harper Evers shares her personal experience from a student travel service trip with Wilderness Adventures to Hawaii, a popular destination many families travel. Evers expresses her enjoyment of serving others and the impact it had on the trip. She describes her experience as “life changing,” which is something that many students should experience while participating in service trips. St. Andrew’s student Lindsay Moriarity has participated in multifarious service abroad trips to El Salvador, and she also has traveled many times with her family. This experience has strengthened her knowledge about traditional trips and service trips. Service trips can help students broaden their perspectives on the needs of citizens around the world.